The Guest that catches, photographs and releases the BIGGEST Muskie on Wabigoon Lake after August 1st until end of season will recieve a Free Stay for same time period in the following year. 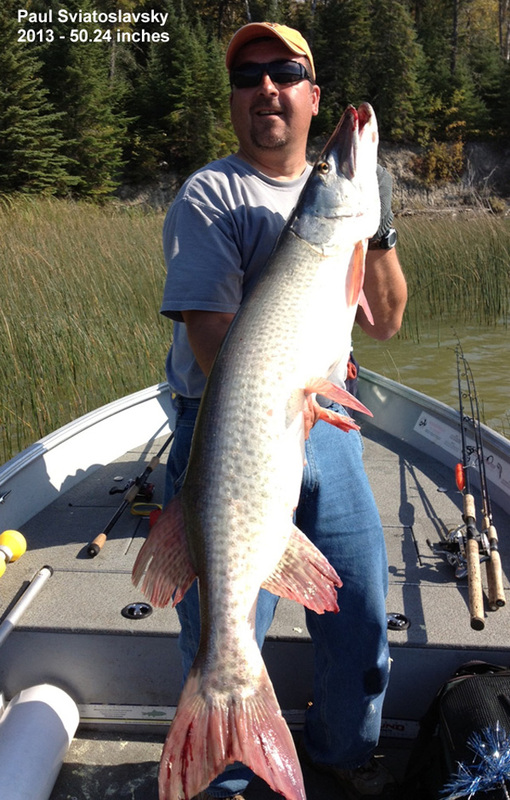 Congratulations Paul Sviatoslavsky, winner of our 2013 fall musky contest with 50.25-inch beauty. Enjoy your free stay in 2014.